Keira Knightly and Benedict Cumberbatch in The Imitation Game. I don’t normally review movies here, but I’m making an exception of this film about the early beginnings of the computer because I think it’s a must see for anyone working with a computer. The Imitation Game stars Benedict Cumberbatch as English mathematician and logician, Alan Turing. Turing helped crack the Enigma machine, a Nazi encryption device, by developing a code breaking machine which has come to be known as the computer. Cumberbatch gives a brilliant performance. He’s absolutely flawless as this graceless, socially inept, mathematical genius who was a marathon runner and a closeted homosexual. The team of mathematical geniuses at Bletchley Park watching the first time they decrypt a message from the Enigma machine. 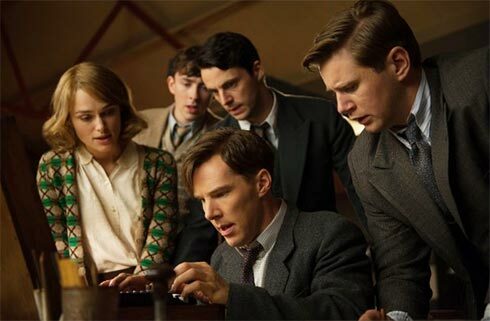 Others starring in The Imitation Game are Keira Knightley, Matthew Goode, Allen Leech, and Matthew Beard as the team at Bletchly Park, site of the UK’s code and encryption school, who worked together to crack the Enigma machine. Charles Dance plays the commander and Rory Kinnear plays the detective whose decision to prosecute Turing for homosexuality probably led to his death. Alex Lawther plays the school boy Turing: a wonderful performance from one so young. By peering into Turing’s past, it helps the audience see how so many things that happened were the way they were. The movie starts in 1951 and jumps between that time, the war years, and Turing’s school days. For anyone interested in computers (and who isn’t) this movie is a must see. Additionally, it’s an excellent rendering of an important historical period, complete with film from the time. The film looks at what it means to be different, to not fit in, and to be forced to hide what you are for fear of imprisonment. For completeness, you may want to watch some of the other movies about Alan Turing. Sir Derek Jacobi played him in the 1997 Breaking the Code . There’s a documentary called Codebreaker . If you haven’t already seen these two films, they should be watched as well. I intend to watch them! 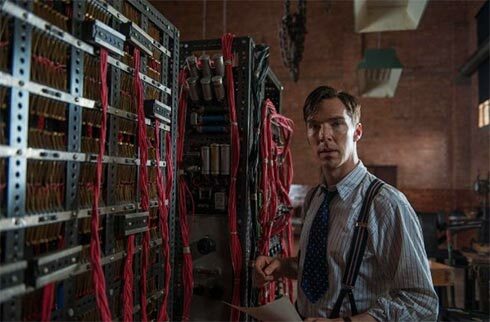 If you want to go old school and get more factual information than a movie offers, there are some books about Alan Turing: Alan Turing: The Enigma: The Book That Inspired the Film “The Imitation Game” and Alan Turing: Unlocking the Enigma. This entry was posted in general-education, News-Politics, ProductReview and tagged Alan Turing, computer development, The Imitation Game by vdebolt. Bookmark the permalink.